If you’re stressed out at work, and are looking for a getaway that closely resembles freedom from gadgets and technology, head over to Punjabiyat for a glimpse of the simple life. Tucked away in the middle of fields in Gurdaspur near Amritsar, this luxury resort only consist of only four cottages. But these cottages are enough to give you a nice getaway experiencing rustic Punjabi life. With Wagah Border an hour away, a milk dairy in Gurdaspur and tractor and bullock cart rides arranged by the resort, you’ll get to experience life in Punjab during your stay. Apart from a fine dining experience on the porch of your cottage and some private downtime with loved ones, Punjabiyat offers a unique homestay-style experience in the hinterland of Punjab. If you’re still not convinced, head to Punjabiyat’s web page for some stunning photographs of the property. 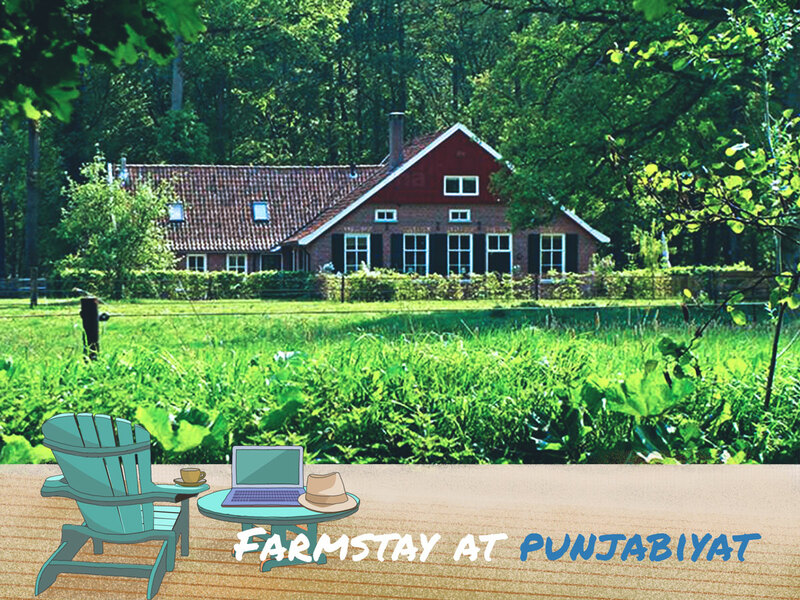 Book a cab from Delhi to Gurdaspur for a completely private experience at the farm. Since the farmstay is remotely located about 17kms outside the town, it might make it easier to get back to the Delhi.